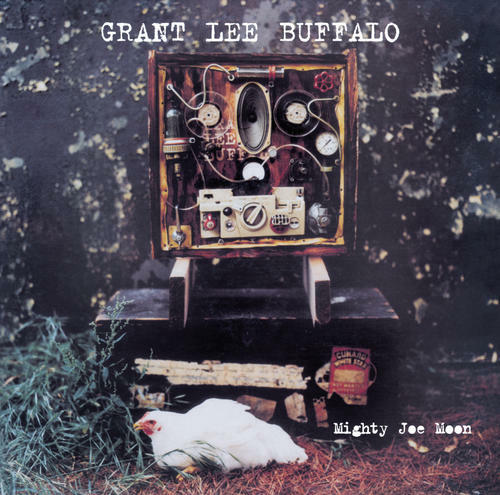 “Mighty Joe Moon” the 1994 sophomore effort by Grant Lee Buffalo found the band hitting their artistic stride with their distinctive Americana/Alternative rock fusion and the evocative, wide screen song writing of singer and guitarist Grant Lee Phillips. The beautiful alternative rock hit “Mockingbirds” brought the band, and this album, their biggest exposure and success. 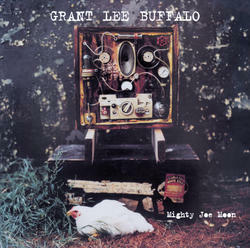 From all out rock assaults like “Lone Star Song” to somber and highly personal numbers such as “Happiness” and “Honey Don’t Think” the album is a highlight of the era and the best record the band ever made. Reissued on 180 gram vinyl with a two sided printed inner sleeve featuring color and B&W photos and a two sided B&W insert.